When we look at numbers they should simply represent amounts of something. But we’re humans, we end up having opinions about them. Superstitions evolve around them and feelings get evoked by seeing them. The number 13 is considered by many to be unlucky. The phobia of the number 13 known as Triskaidekaphobia and according to the Gallup survey 1 in 10 people are superstitious about this number. Stranger than that there is a more potent phobia connected to Friday the 13th which is Paraskevidekatriaphobia. This phobia has been known to keep people in bed for the entire day because they fear that if they go out something bad is going to happen. 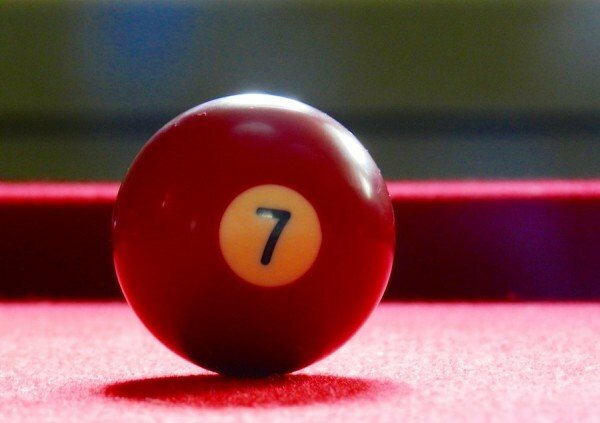 For equally unique reasons 7 is considered lucky. When people are asked to pick a number between 1 and 10 the most common number that people pick is 7 because it seems ‘the most obscure’. People will stay away from 1 and 10 because they are too extreme, all the even numbers have too much of a recognisable pattern and 5 is too obvious because of its position in the middle. That only leaves 3, 7 and 9. 9 is too close to the end and 7 seems like a more obscure number than 3 and so we have our winner. Similarly the number 7 is people’s favourite number. A survey of 44000 people online found that 7, closely followed by the number 3, is the most common favourite number. While this survey was self selecting so not strictly conforming to proper psychological testing procedures, it still gives a strong indication of what people perceive about numbers. The luck of the number 7 is also reinforced in our culture. Slot machines in casinos will often have one of the win lines as 777. It occurs in the natural world an awful lot as well, 7 seas, 7 continents and 7 days of the week. Often these associations can come from personal experiences. If, for example, you went into a casino, lost all night and then you won a lot of money with your last fiver on the number 7, you’re going to think that number is lucky when in fact it has the same chance of coming in as any of the other numbers. When we have these experiences it allows us to attach feelings to certain numbers and so we develop a liking for some numbers and bad feelings about others. When we have favourite numbers it gives us a little buzz to be sitting in seat 28 at the theatre or to get the number 17 bus home. One more reason that we could be drawn towards the number seven is that it is the only single digit number to have 2 sylables putting it into its own catagory of the most common numbers. Do you have a lucky number? Have a think about why that is your lucky number and then share it in the comments section.